Man does not have a monopoly on inventions. It just seems that way because Mr. Bell, Mr. Jefferson, Mr. Franklin and Mr. Edison have been hogging all of the publicity the last 250 years or so. In fact, several women have made significant contributions to industry, the home, science and information technology. Some were the first to contribute to their particular field and forge new accomplishments for others to advance. If it weren’t for these women on this list, life would be more difficult today in many ways. Hedy Lamarr (1913-2000) She is best known as movie star actress during the WWII era. She starred in “Samson and Delilah”, “Algiers” and many others. She also wanted to contribute to the World War II effort by figuring out how to prevent the jamming of and intercepting of frequency communication systems by the enemy. She and her co-inventor, George Anthiel, figured out the technique of “frequency hopping” or what they call today, “spread-spectrum” communication, proving that she was not just a pretty face for the movies. This technology is used today for everything from military weapons to cell phone transmissions. They received a patent for it but it didn’t earn her any significant wealth. In 1997 she was awarded the Electronic Frontier Foundation (EFF) Pioneer Award. Sybilla Masters (died 1720) She was a significant contributor to the field of farming and weaving. Masters was the first recorded American woman inventor. She earned a patent for “Cleansing, Curing, and Refining of Indian-Corn Growing in the Plantations” and for a new methods for weaving straw for hats and bonnets. However, her husband had to put his name on the patent because of the laws at the time in 1715. She deserves credit now for not being recognized back then. Josephine Garis Cochran (1839-1913) The world’s population owes this woman a collective thank you. The reason? She invented the first working automatic dishwasher in 1889. It was first shown at the 1893 Chicago World’s Fair. The next phase for anyone out there, of course, is an automatic loader and un-loader. Marion Donovan (1917-1998) She invented the first waterproof, disposable diaper in 1950. The key word is “waterproof”. Amazingly, business leaders weren’t interested in this at first, which showed an incredible lack of understanding to the plight of their wives and mothers. She wasn’t discouraged. She started her own company, Donovan Enterprises, and then sold it for a million dollars later. At last the sweet smell of success! Grace Murray Hopper (1906-1992) An engineer, educator and a naval officer rising to the rank of Rear Admiral, every computer programmer owes a debt of gratitude to her. She invented the concept of compiling programming languages. She popularized the term, “debugging” which refers to a weeding out code errors in a program. She is a legend in the Navy and in the fields of Mathematics and Computer Engineering. Ada Byron, Lady Lovelace (1815-1852) She was a mathematician and a collaborator with Charles Babbage, the inventor of the Analytical Engine, who built the first mechanical computer that could calculate numbers. She also foresaw that computers could do more than calculate numbers, such as composing music, creating graphics and would be used for practical and scientific use. 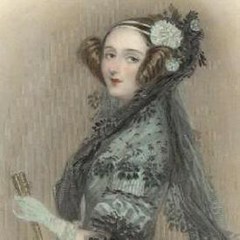 She also wrote the first computer program (Bernoulli numbers) for calculating numbers for Babbage’s machine. She was indeed a pioneer and a profit of the computer age. 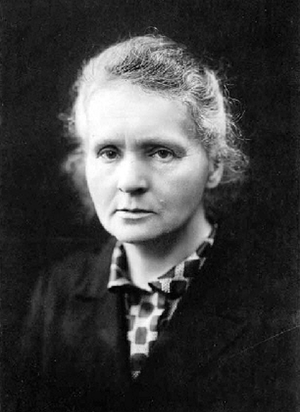 Marie Curie (1867-1934) Here is a woman who literally put her life on the line for science. She was a polish physicist and chemist who discovered radioactive metals such as Radium and Polonium. She also discovered that the harmful properties of x-rays could kill tumors. She made a decision to not seek patents for methods of processing radium or how it could be used for medical applications. Curie was the first person to win two Nobel Prizes. She died of Leukemia caused by overexposure to radioactive material during her years of research. Lillian Moller Gilbreth (1878-1972) She was a pioneer in the field of ergonomics as well as an author, industrial engineer and inventor. Gilbreth invented several helpful items for the kitchen to make our lives easier. Everyone should give a collective bow of thank you (she saved our backs) to her because she invented the trashcan with the foot-pedal lid-opener. She conducted several significant Time and Motion studies that simplified and improved industrial work. She also determined that stress affected worker efficiency as well as lack of sleep. While working for General Electric she conducted interviews with women to determine the proper height for stoves, sinks and other kitchen appliances. Do you have any that you think significant? Leave me a comment and I will respond. How about the top 8 female authors or male authors? Good Day to you also. Thank you for your kind comments. It makes me feel good to know that my work is appreciated by others and that it has made a difference. Visit often and tell your friends about the site. I am also open to any suggestions for posts. My advice would be to write about what interests you and what you are passionate about. Also, be disciplined about it. Make sure you write about something frequently, whether it be once a week or twice a month or some other timeline that fits your schedule.